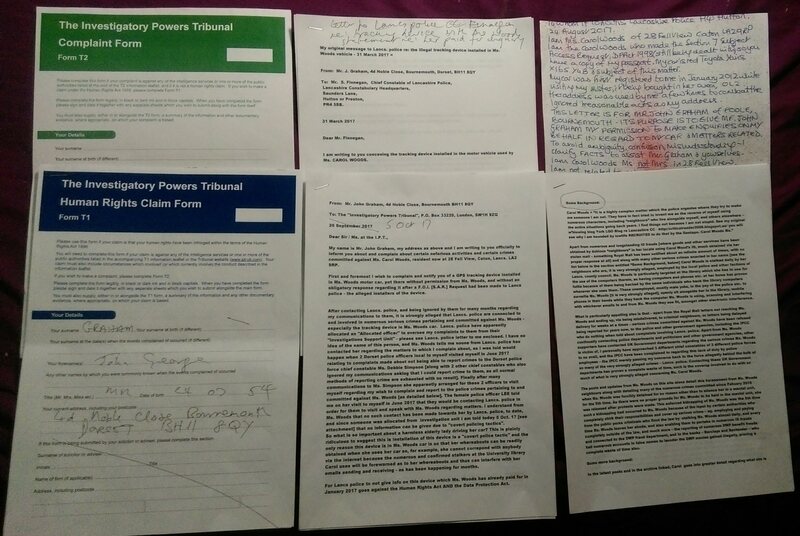 After sending the latest complaint by way of 20 pages of printed notes by recorded delivery to the IPT [Investigatory Powers Tribunal] regarding the illegal installing of a GPS device in Carol Wood’s car by Lancs. 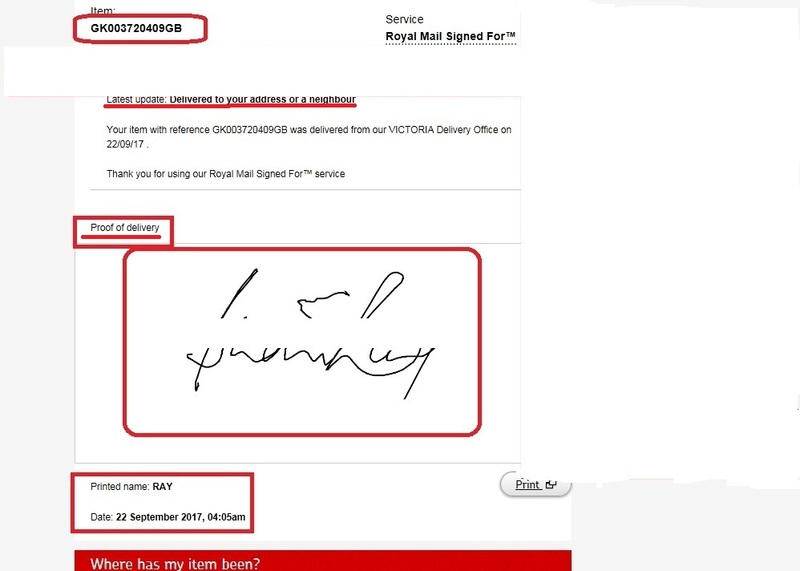 police, and then phoning them weeks later [as I’d had no acknowledgement to the 20 pages] and finding out they “hadn’t received” these notes, despite the recorded delivery being signed for at their correct location [see the signed receipt below], then being told in that same call to send them again with their official forms, and then waiting months for some kind of progress regarding the illegal GPS tracking device I received the letter below which tells that all was a waste of time, and money. This complete ignoring of a complaint by the IPT regarding Lancs. police’s clear breach the Data Protection Act [and European Convention of Human Rights Article 8, which concerns a citizen’s privacy, etc. – see below] surely shows the lawlessness rampant throughout the chronic and completely unacceptable and hostile targeting of Carol Woods by a police force – Lancs. police force – and their cronies in high places, including the Lancs. county council, Royal Mail and other household names who continue to break the law on an almost daily basis!! 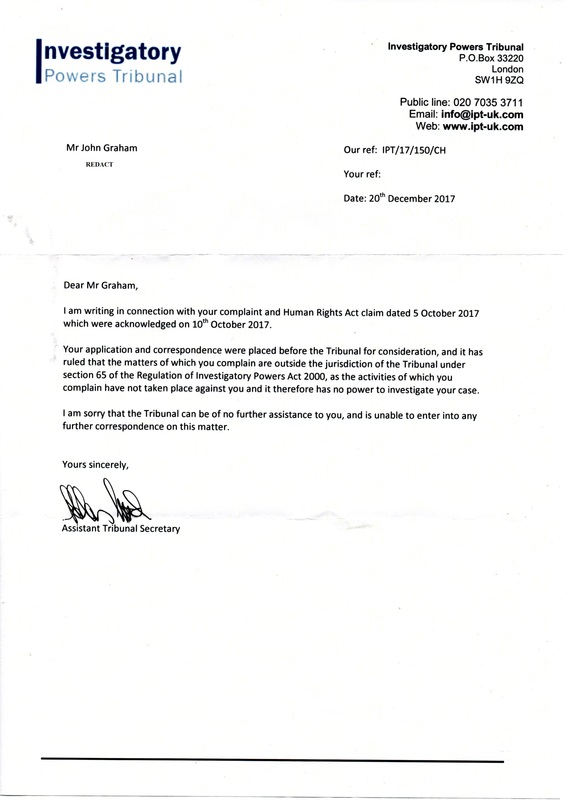 So, the IPT don’t want to know, with at least 3 letters from the Home Office telling me to go to the IPT, and the IPCC have already said they’ed be sending anything sent to them regarding Lancs. police back to Lancs. police, it all proves a complete and utter waste of time, and Lancs. police have carte blanche to break the laws exactly how they like with no one in the UK government calling them to account. And also, the HMIC [Her Majesty’s Inspector of Constabularies] ignore recent communications sent to them too! Specialist operations? What is happening to Carol Woods is surely a “Specialist Operation”! Numerous communications have been sent to Mr. Cooke, and many others at Lancs. police regarding the deplorable targeting of Carol Woods, beginning in 2006 - everything ignored.